The baby clothing patterns are La Petite Belle Patterns 7006 and 7007. 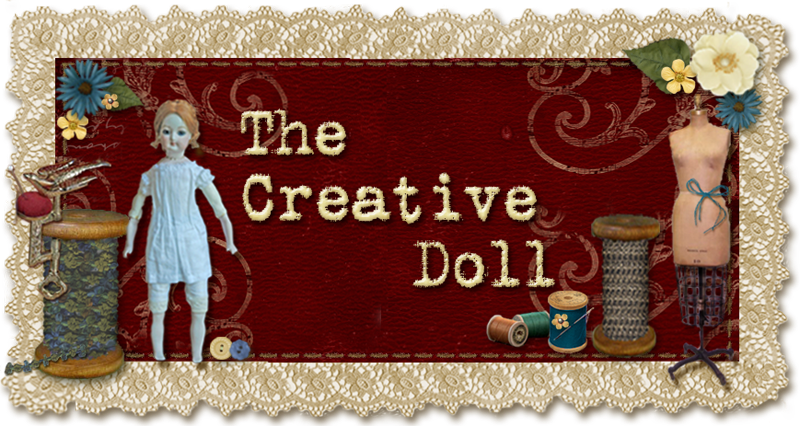 (To purchase the patterns and fabrics in kits visit: http://www.minidolls.com/DollKits.shtml.) 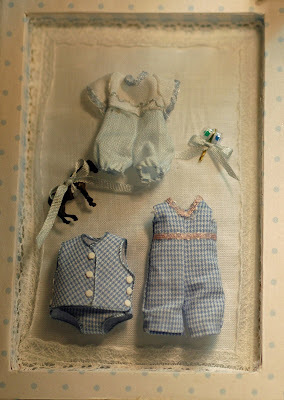 The items in the top half of the covered card box consist of an embroidered bubble pants pattern, a “onesie” style short pants and a jumper. I have included a rattle and a horse from train set accessories. Opposite the day-clothes are his night items. 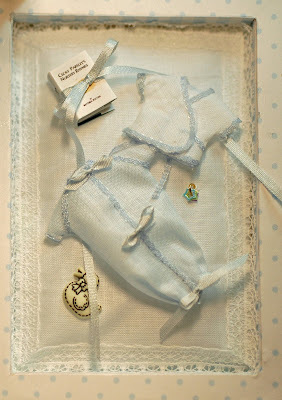 A nursery rhymes book from Ann Vanture’s Paperminis (http://www.paperminis.com/cut-n-glue-kits/books.htm), a diaper shirt and a bunting. (The bunting is my FAVORITE thing.) A little ducky decoration and rattle with stars completes the right side.